Some of the biggest seafood processors operating in Alaska sent their top cadre of workers to the Alaska Seafood Processing Leadership Institute in Kodiak this fall. The institute, called ASPLI, is one of the state’s leading training programs serving Alaska’s seafood industry, which employs nearly 57,000 workers. As the state’s largest manufacturing sector, seafood processors produced 2.7 billion pounds of Alaska products in Alaska in 2016, with a wholesale vaue of $4.2 billion, according to McDowell Group. 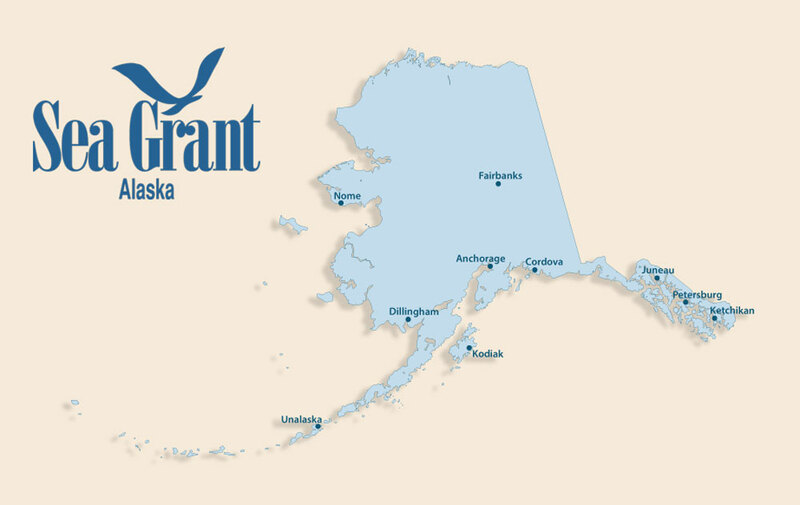 One of Alaska Sea Grant’s main goals is to support workforce development and ASPLI is one of our key programs. Part one of the skill-building training was held November 13-17 at the Kodiak Seafood and Marine Science Center. Part two will take place in Anchorage in March 2018. Over the winter, each participant will work with a mentor to complete a project of value to their company. In spring the group comes back together for another five days of training in leadership, human resources, marketing and the seafood regulatory process. Following the Anchorage class, most of the ASPLI participants will travel together to the International Seafood Expo in Boston. Kim Thayer, quality assurance manager at Ocean Beauty Seafoods in Cordova, especially liked the classes she took in “lean manufacturing,” or making things more efficient. Lean manufacturing was taught by Murray Park, an engineer and president of Trans-Ocean Products in Bellingham, Washington. The focus is to eliminate waste and improve customer service on a continuing basis. The current ASPLI cohort includes managers from Alaska Pacific Seafoods, Icicle Seafoods, Kwik’pak Fisheries, Leader Creek Fisheries, Ocean Beauty Seafoods, Pacific Star Seafood, Peter Pan Seafoods, Silver Bay Seafoods and Trident Seafoods. They reside in Anchorage, Kodiak, Metlakatla, Petersburg, Sitka, Washington, California and other Lower 48 states. Many have more than a decade of experience, with titles such as assistant foreman/fleet manager, assistant office manager, assistant production manager, dock coordinator, fish house supervisor, plant manager, production manager and quality control technician. Funding for ASPLI is from participant fees paid by their companies, University of Alaska Technical Vocational Education Program funds and Alaska Sea Grant.